1.26 MB, 1920x1080px, 10.7 secs. 9.86 MB, 1920x1080px, 10.7 secs. 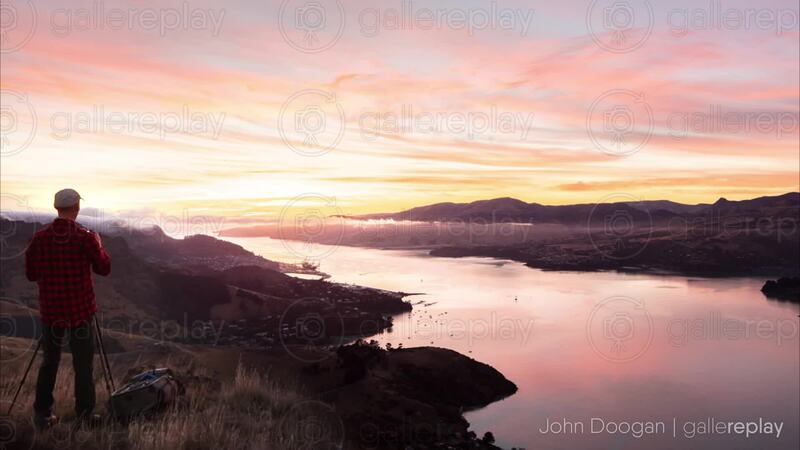 A photographer reaches down to his camera bag while standing at a tripod overlooking a colorful sunrise in Lyttelton Harbor, New Zealand.